It was just like any other Tuesday afternoon: I was typing away at the keyboard, tunes playing on my computer, my mind wandering to other parts of the world. Someone had recently been telling me how much they enjoyed Berlin and wished they could go back. A glance outside at the snowy landscape and the impending Spring Break season upon me, I took a break and decided to, on a whim, see how prices looked for Northern Europe in the next couple months. 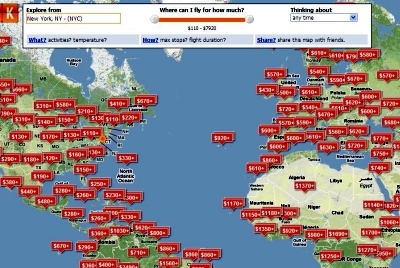 I had recently read how Tuesday afternoons (at 3 p.m. EST according to Rick Seaney of FareCompare) were the cheapest days to buy an airline ticket. So I headed over to my go-to wanderlust travel site, Kayak, and clicked on “More,” then on “Explore” in their “Tools” section. This brought me to their newly introduced tool I wrote about back in November that allows you to graphically roam the world, checking out the cheapest fights by season. I set my city as New York and clicked on “Spring 2011,” and dragged the map over to Europe. 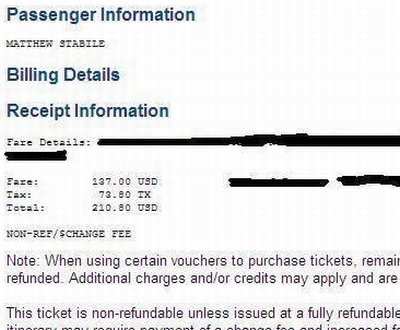 There were the usual suspects: $650 for Paris, $670 for Berlin, $560 for Madrid. But there, incredibly, like a lush oasis deep in the distance of an arid desert, was a small red flag reading $210 hovering over Barcelona. I blinked my eyes. I zoomed in closer on the map. I checked my mug to make sure my green tea hadn’t gone bad. But there it stood: a 3,833-mile flight (Monday night red-eye) from New York to sunny, happenin’, no-snow-in-site Barcelona. I thought about it for, oh, five seconds, clicked through and quickly entered my billing information on Delta’s site. I chose my usual window seats, declined any insurance, and minutes later I received a confirmation e-mail for my flight, fully assured of an early spring getaway to coastal Spain for less than the average price of a flight to Richmond. Sure, I had to be open enough to jump on a Monday to Monday trip in early April, with the departing flight an overnight red-eye. But who cares? For 70% off the normal price I would’ve suited up as co-pilot if they had asked (they hadn’t, but I am open to the offer). It is a tale that I am sure I shall recount many a day to come everywhere from the vantage of a barstool surrounded by my fellow wizened comrades, to my grandchildren as they perch on my knee, pleading for me to once again tell the tale of when I slayed the airliners. I will be hard-pressed to one day top the glory that was that Tuesday afternoon, but I know that I shall never waver in my resolve to one day, once again, find another cheap flight.